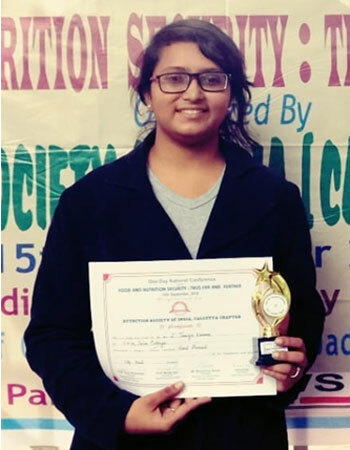 Sourav Mishra and Tania Verma, two bright students of the newly commenced Department of Food and Nutrition marked a significant achievement and successfully secured 2nd and 3rd positions consecutively in a poster making competition in a National Conference on Food and Nutrition Security: Thus Far and Further organized by the Nutrition Society of India Calcutta Chapter on account of its Golden Jubilee Year Celebration on 15th September, 2018; at Indian Institute of Chemical Engineering, Jadavpur University. 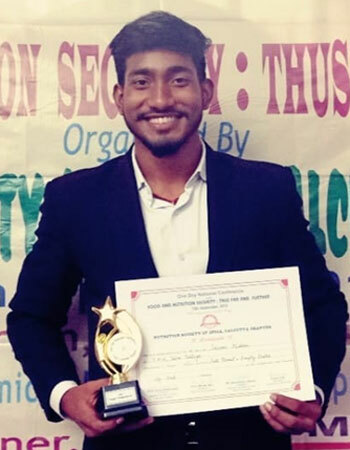 Premanjali Lahiri of the Department of Commerce has won the Inter University Basketball Tournament Championship organized by the West Bengal Basketball Association at the Jadavpur University Ground between 18th to 20th September, 2018. 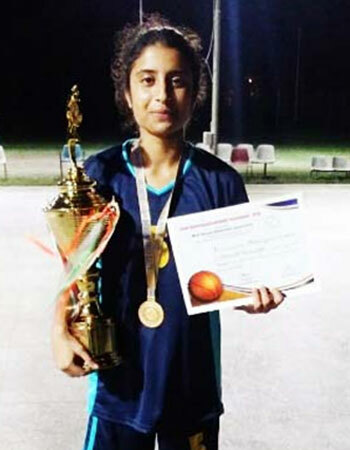 Premanjali had been the key part of the Women's team that defeated the University of Burdwan and brought a 'Double Crown' to the University of Calcutta in the State inter-varsity basketball meet. The event was reported by the Times of India on 21st September, 2018 on its sports page.